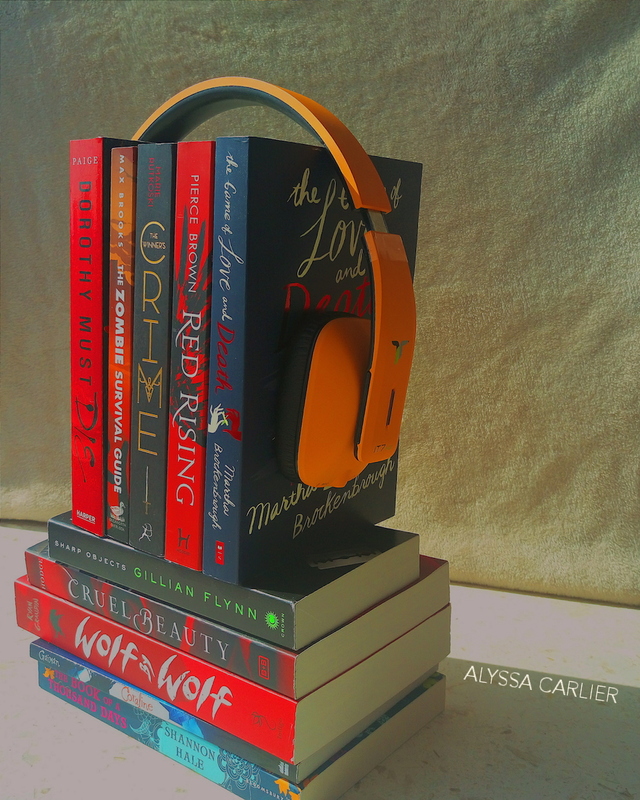 Alyssa Carlier | The Devil Orders Takeout: In January: I tried book photography and welcome back Kim! In January: I tried book photography and welcome back Kim! OKAY. Here goes my first recap post! have some Chinese takeout in a traditional teahouse? join my takeout army for an extra, non-spoilery death scene from Matryoshka! First photo was inspired by Cait @ Paper Fury's levitating book photo. Not 100% happy with the execution, but the concept perhaps? The second photo was my first photo edited through VSCOcam. Blookunity, book photography advice please? Critiques very welcome! 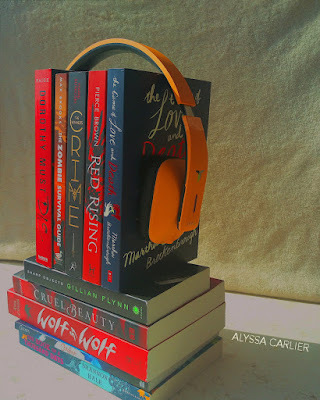 In January, I reviewed WOLF BY WOLF (January favourite! 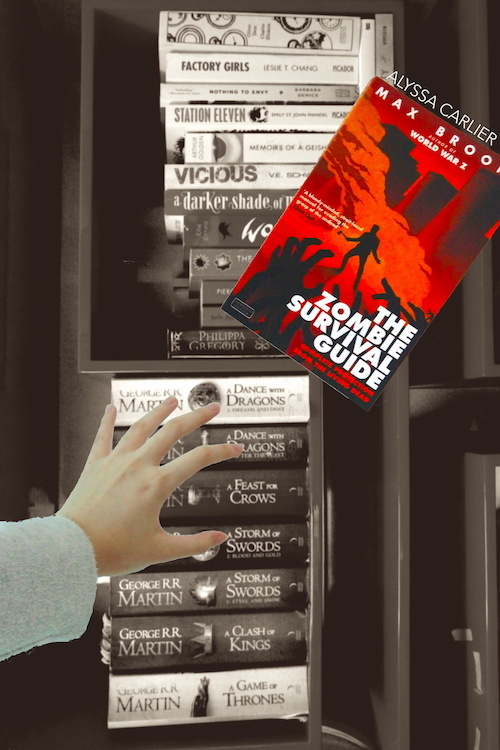 ), Illuminae, The Game of Love and Death, The Zombie Survival Guide, and The Novel Planner on Goodreads. Friend me on Goodreads for bookish updates, and add me on Tumblr for more book photos! I'm making SO MANY edits to Matryoshka, my revenge-gone-wrong novel in a multicultural city with a sassy justice lady! I'm joining Cait and Emily in their #rewriteathon on Twitter, hoping to finish in March. A huge thank you to my betas, first of all, whose advice has/will help me a great deal. Some plans are changing Thomas' name and breaking away from my shared-character-name streak with Cait (I've mentioned her four times this post, we're clearly cybertwins anyways); adding a Chekhov's knife that will amuse me; and miraculously not killing off new characters. Stay updated on my writing news by joining my takeout army! If you join within these two weeks, you'll receive a bonus prequel scene of Matryoshka. 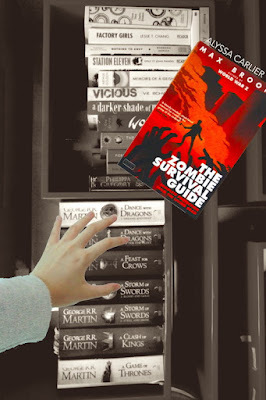 The Zombie Apocalypse Squad Leader: Emily shares 12 hilarious places to shelve and weaponise your books. The Oreo Supporter: Aentee's #DiverseYABC will discuss Simon Vs! Join us 31st Jan 1 PM AEDT on Twitter. The Future Professor: Jillian researched diverse representation and made a great infographic! 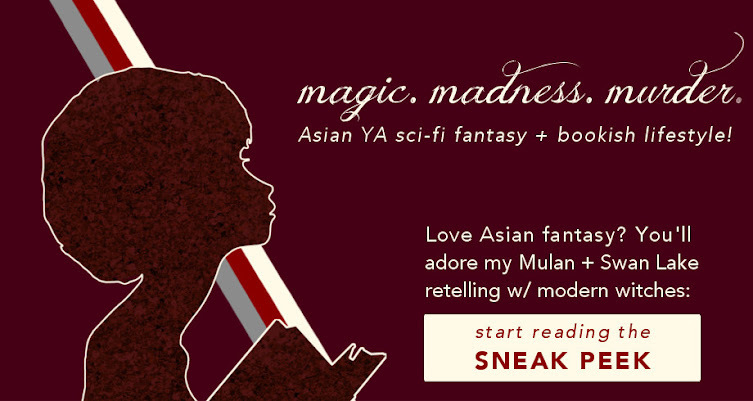 The Sassiest Blogger: Shanti diagnoses some common problems of YA bookworms. Hilarious + accurate! New Blog on the Block: Rachel launched Silver Mess and listed 101 hilarious ways to fail a driving test. So tell me! Thoughts on my book photography? 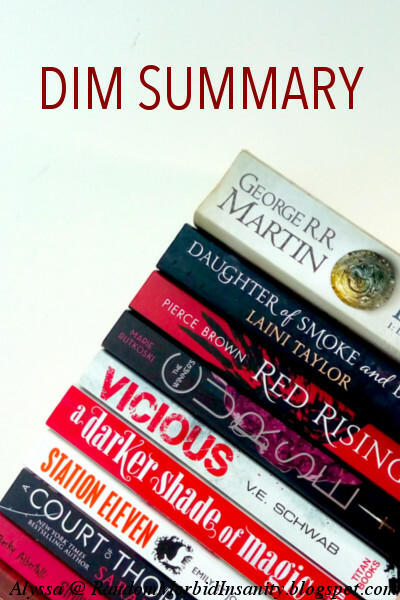 Do you want MORE dim summaries?